Welcome to the Show-Me State! Junction Missouri 231 coming up in a mile. Reassurance shield after Koch Rd. 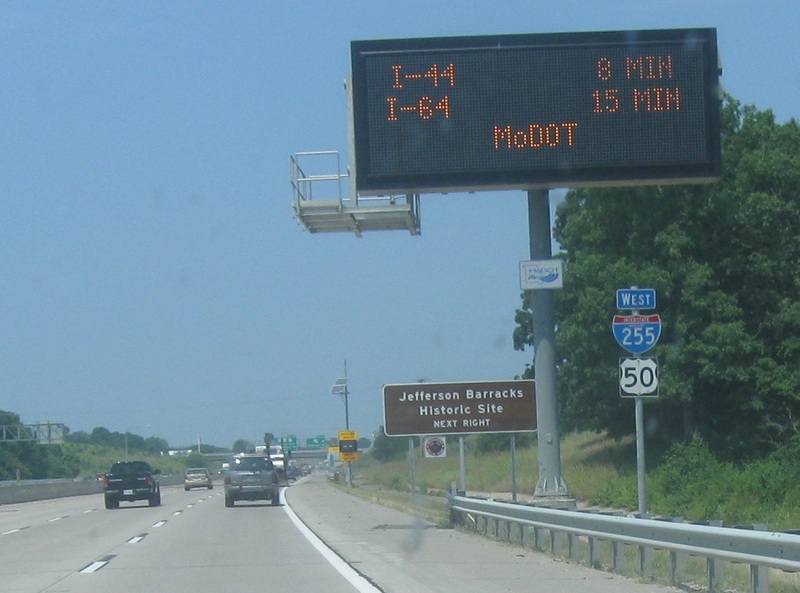 We’re 8 minutes from I-44 and 15 minutes from I-64. 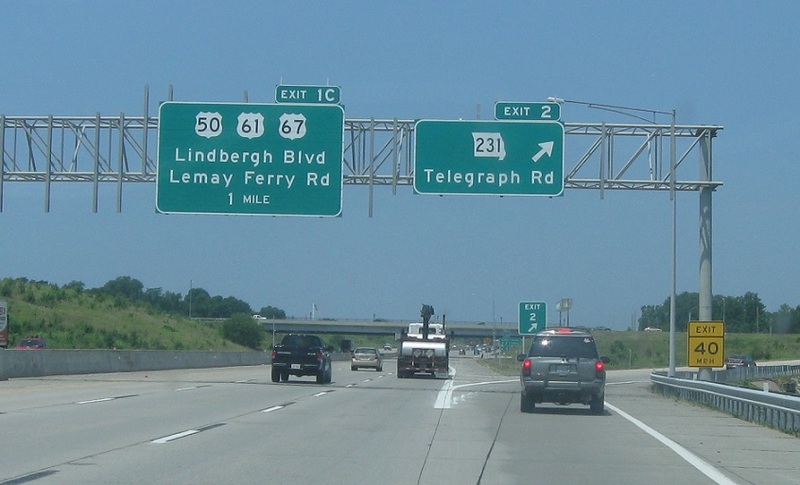 1/4 mile to MO-231/Telegraph Rd, 1.5 miles to the US-50 split at Lindbergh Blvd, 2.5 miles to I-55. 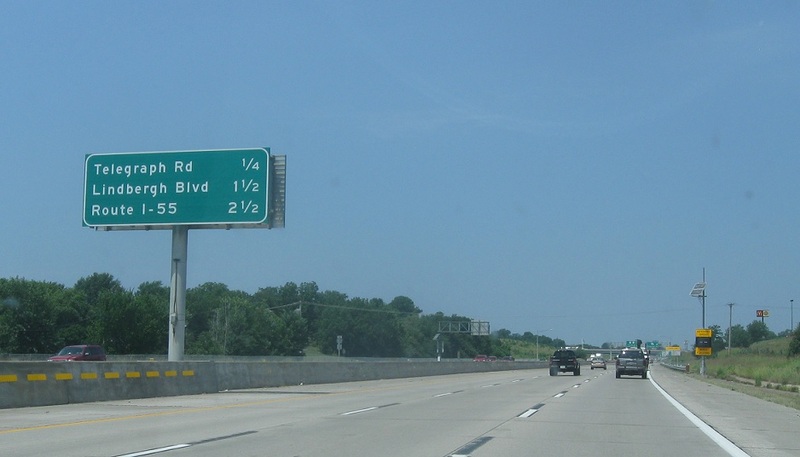 Exit for MO 231. 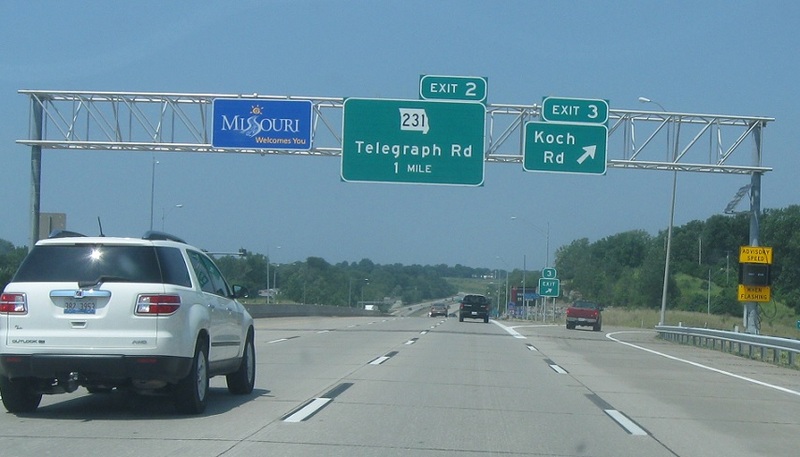 Junction US-50/61/67 and MO 267 coming up.